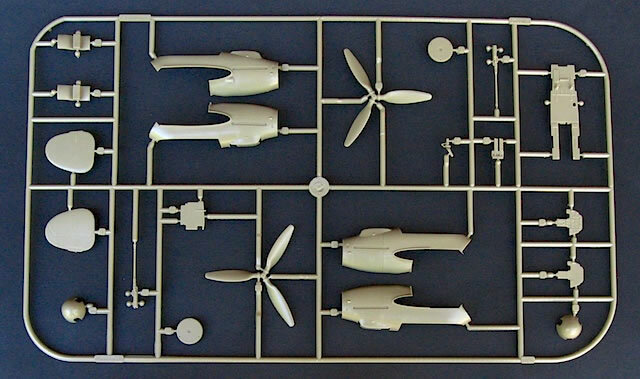 Approximately 420 olive coloured plastic parts (nearly 200 unused); 6 clear plastic parts; 1 fret of photo-etched brass; 1 decal sheet containing markings and stencils for 1 aircraft; 16 page A4 black-and-white instruction booklet. 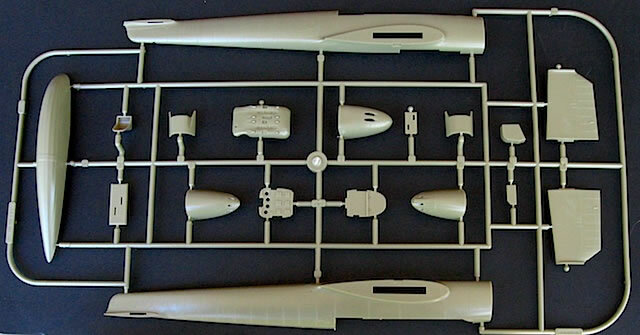 A welcome addition to Eduard’s 1/48 Bf 110 range that with care should build into a beautiful model. 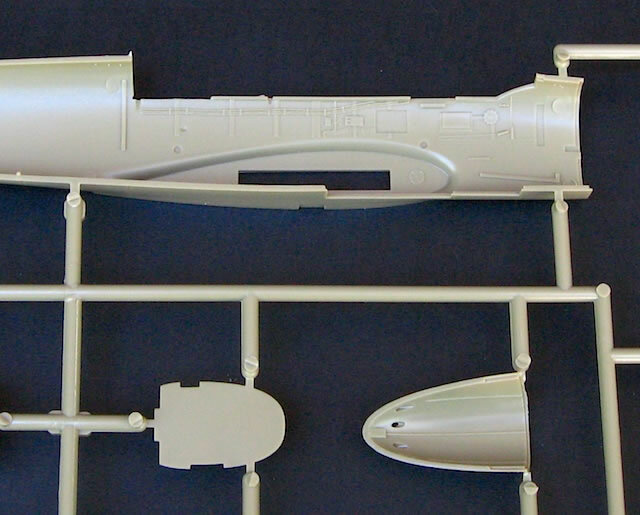 As Brett Green noted in his recent review of Eduard’s 1/72 Messerschmitt Bf 110 G-2 kit, production of the Bf 110 F was fast-tracked after the Messerschmitt Me 210 project failed. Distinguished from the earlier C, E and D versions by its more powerful DB601F engines and reshaped cowlings and spinners, the Bf 110 F also introduced less obvious refinements such as increased armour protection. The F was built between late 1941 and late 1942, with over 500 examples completed before production switched to the definitive Bf 110 G series. 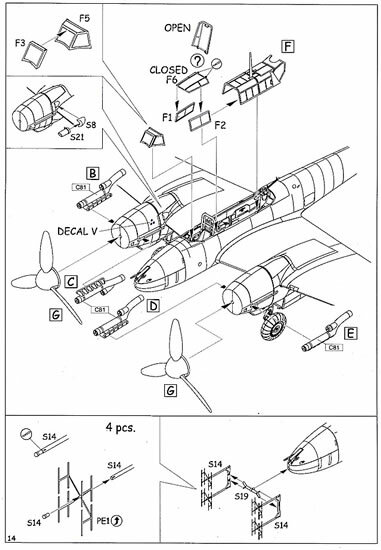 This figure included a number of earlier model Bf 110s that were upgraded to F standard. 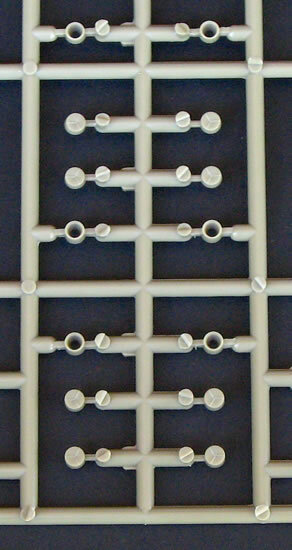 Eduard launched its 1/48 Bf 110 E in 2007, and followed with kits of the C, D, E, G-2 and G-4 versions in a variety of boxings. 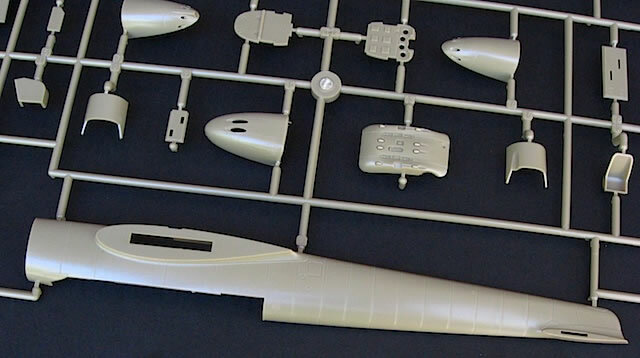 Now by mix-and-matching the sprues from these kits, Eduard has completed its 1/48 Bf 110 family by creating an F. To the best of my knowledge, this is the first dedicated 1/48 Bf 110 F kit that has been released (although references suggest that Revell’s nicely moulded and detailed, but inaccurate, Bf 110 G-2 kit is actually an F in disguise*). Perhaps surprisingly, Eduard has released this new kit as a Weekend Edition rather than Profipack boxing. 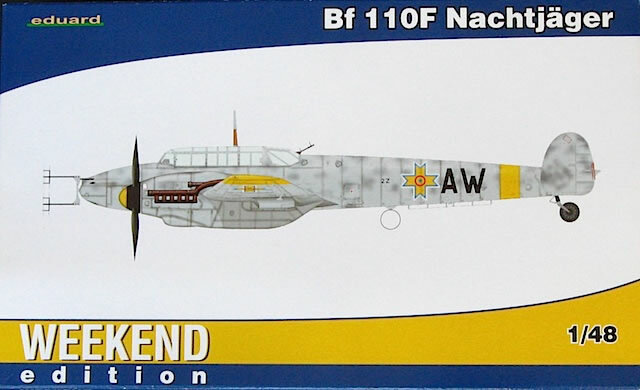 However, even without the multiple decal options and other extras of the latter format, Eduard’s 1/48 Bf 110 F is still an impressive package. 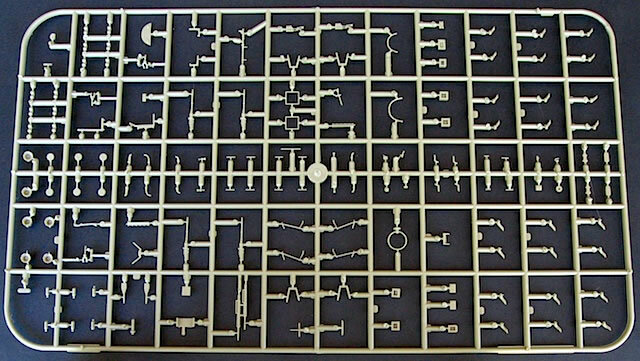 My first thought on lifting the lid was that there is no way you could finish this kit in a weekend unless you were both a fast builder and an insomniac. 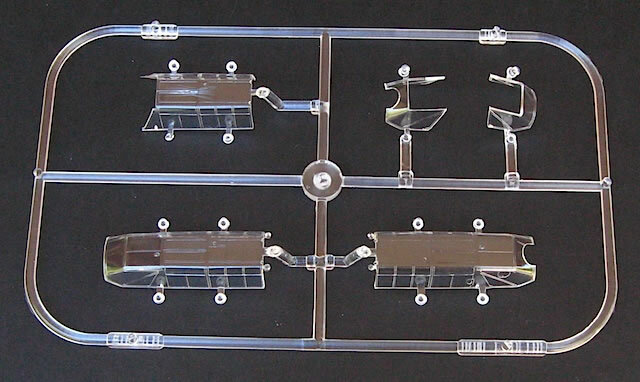 Nine olive-brown and two clear sprues make for a total parts count of about 420; even with nearly 200 of these unused, that still leaves a lot of plastic to put together in two days. 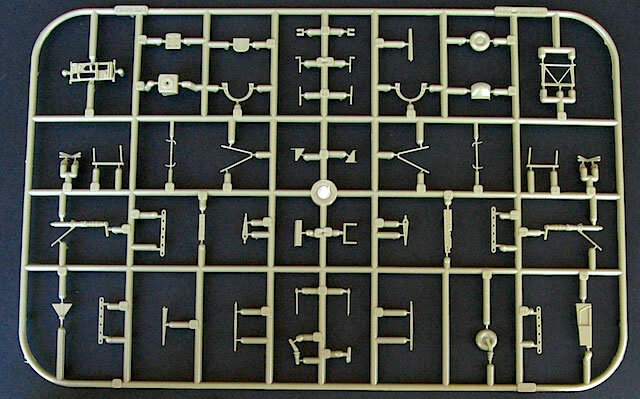 As you can see, the sprues for the Bf 110 F are drawn from those required for both earlier and later versions of the aircraft. This reflects the F’s status as a transitional variant, using a proven airframe to introduce changes and improvements that would be refined in subsequent versions. 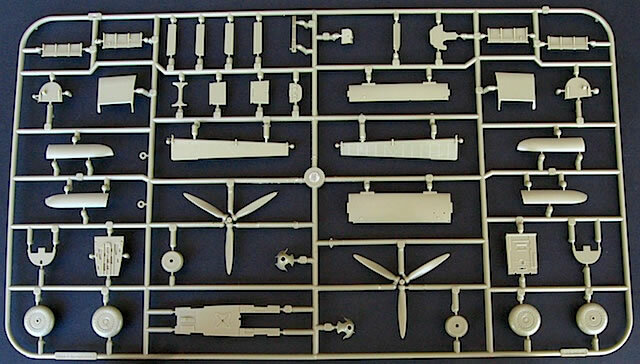 Purists should note that this creative mixing of sprues has not delivered a 100 per cent accurate Bf 110 F. The minor work Brett mentioned in his 1/72 Bf 110 G-2 review required to convert that kit to an F is also applicable here. 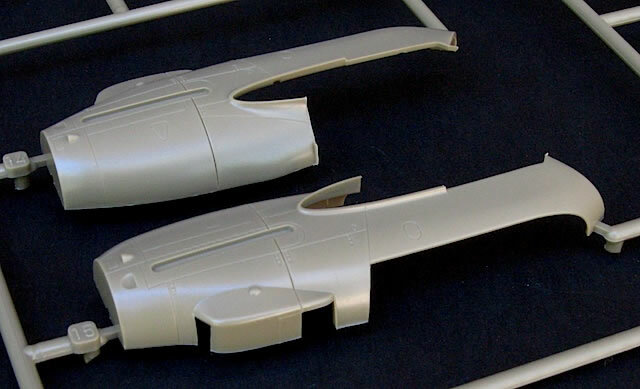 That is, you will need to shave off the small scoops on the front of the nacelles, and fill in the recessed outline of the triangular inspection ports on the sides of the nacelles. 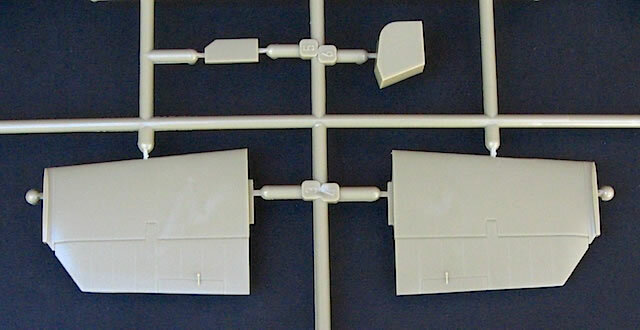 These ports need to be replaced with three instrument decals for each side (which Eduard supplies). 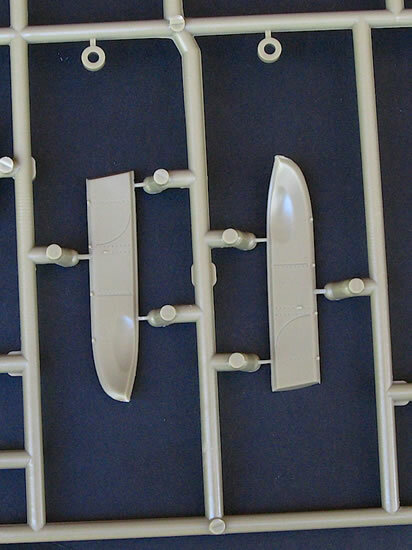 These differences aren’t immediately obvious, but become clear when you look at photos of Bf 110 F nacelles. 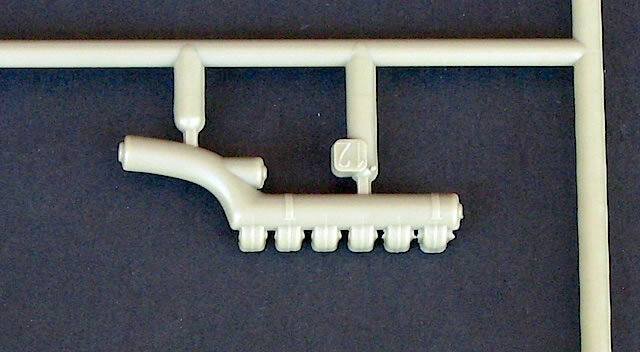 And unless I’ve missed it completely – which is always possible – Eduard hasn’t included the underwing pitot tube that distinguished Fs from later versions; this will need to be scratch-built. There may also be other subtle inconsistencies, so I would recommend checking your references throughout the build process. 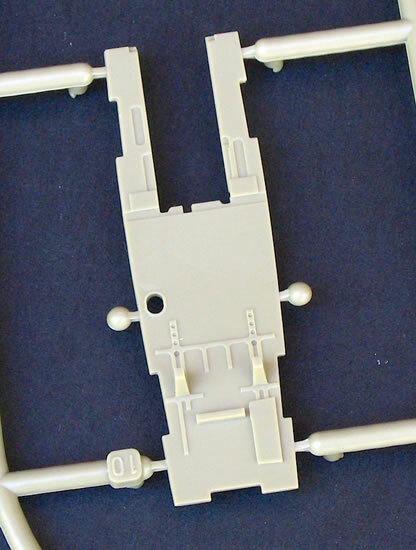 Given that Eduard’s 1/48 Bf 110 moulds have been well used over the past few years, the overall quality of the plastic parts is excellent. A close examination revealed no sink marks or flash, and surface detail is crisp and petite. 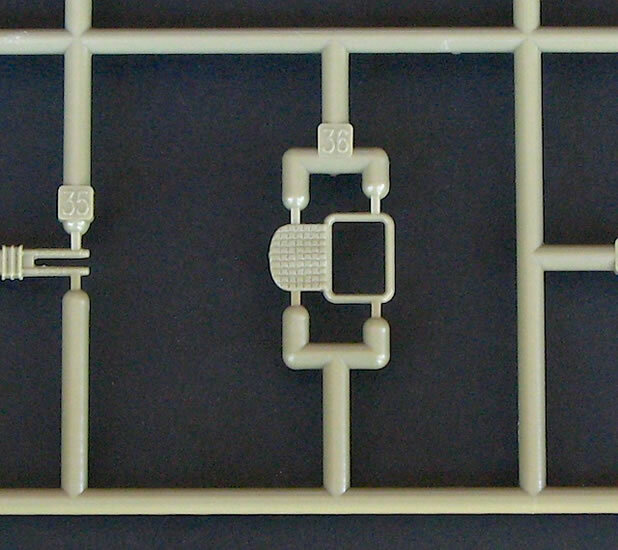 Overall detail is sufficiently thorough that with careful painting the completed model will still look good, notwithstanding the Weekend Edition’s lack of photo-etched parts for the cockpit, particularly. 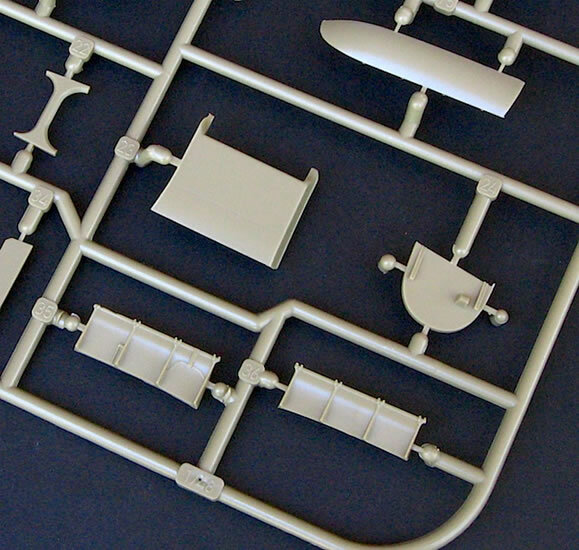 However for modelers who want this enhancement, Eduard has released a Zoom set (FE617) for adding further interior and selected exterior details to this kit. I think this release breaks new ground for a Weekend Edition in that it actually contains a modest fret of photo-etched parts – five in total. 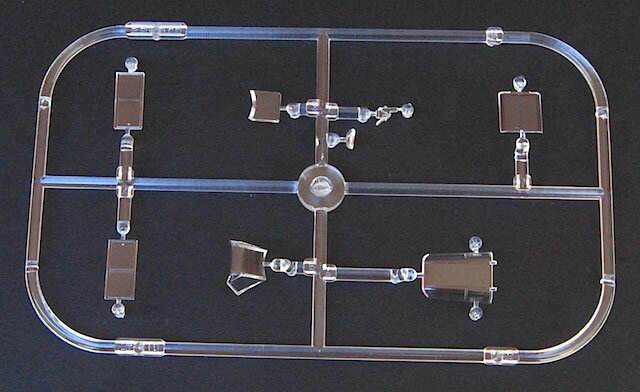 Four of these are for representing the delicate FuG 202 radar arrays, which with patience will produce a much better result than if the parts had been provided in plastic. The final part is for the mesh strapping on the rear gunner’s seat, which will also look good when installed. Returning to the norm for Weekend Edition kits, the 16-page A4 instruction booklet is in black-and-white only, compared to the full-colour of Eduard’s Profipack and Limited Edition boxings. 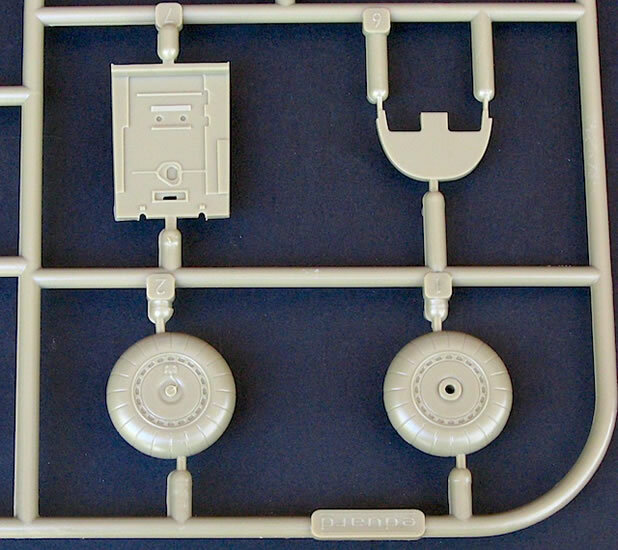 It is nonetheless comprehensive, with clearly illustrated assembly instructions and a detailed stencil placement guide. A single marking option is provided, and it is an interesting one: a Bf 110 F-4 night fighter (W.Nr. 5084/2Z+AW) flown under Romanian colours by Ion Simion and Constantin Octavian of Escadrilla 51 Vanatoare (12./NJG 6) from Otopeni, Romania in June 1944. I usually find Eduard’s marking choices to be reasonably well documented, but not on this occasion; after scouring my reference books and the internet without luck, I put out a request for information on Hyperscale’s Plane Talking forum. Thanks very much to everyone who responded, but particularly to Radu Brinzan, Steven Modeldad Eisenman and Raz, who collectively were able to provide me with details and photographs of 2Z+AW, as well as more general information about Bf 110s in Romanian service. 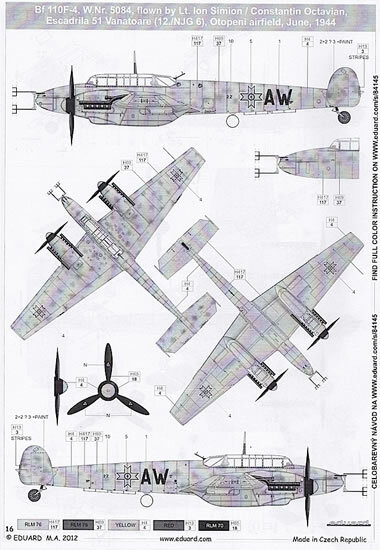 Romania purchased 12 Bf 110s from Germany for use as night fighters. 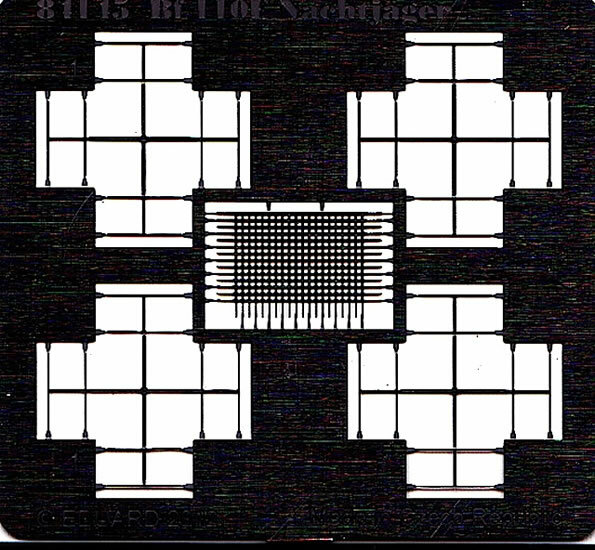 According to their W.Nr. these aircraft were originally Bf 110 Cs, but an unknown number were upgraded to F standard (including 2Z+AW). 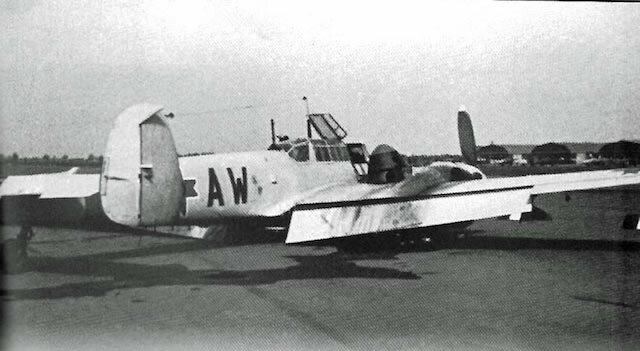 All retained their original German codes (eg 2Z+BW, 2Z+FW) and national markings – apart from 2Z+AW that received Romanian national markings, reportedly because it was the squadron commander’s plane. Radu and Raz both recommend the French language text “La Chasse de Nuit Germano-Roumaine [German-Romano Night Fighters]” by Jean-Louis Roba and Cristian Craciunoiu (Modelism, 1997) as one of the best references on these Romanian Bf 110s. The best source of information on 2Z+AW (as well as World War 2 Romanian fighter aircraft in general) is “Romanian Fighter Colours 1941-1945” by Teodor Liviu Morosanu & Dan Melinte (MMP, 2010). Radu points out that this book addresses a number of long-established myths about Romanian aircraft, including 2Z+AW, which while definitely a Bf 110 F has previously been mistaken for a C. The book also correctly identifies the colour of 2Z+AW’s code letters as black or very dark grey, whereas the ‘A’ had previously been thought to be red – as had the spinner tips, which are in fact yellow. This research is accurately reflected in Eduard’s painting and marking guide. 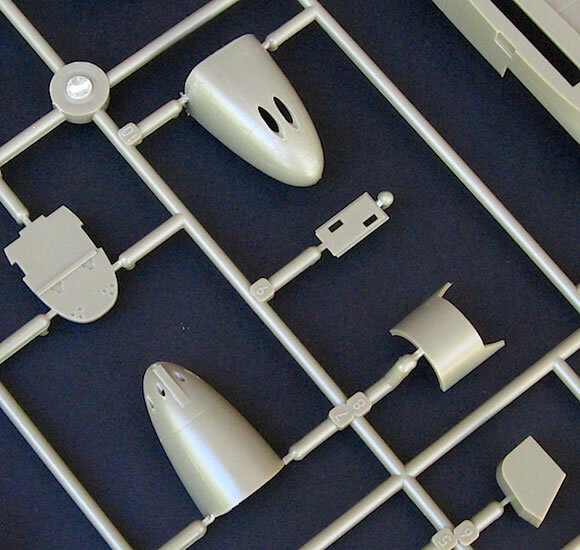 Eduard suggests that 2Z+AW was painted RLM 76 Light Blue, oversprayed with a light mottle of RLM 75 Grey-Violet on the upper surfaces. However, it is more likely that the finish was simply overall RLM 76 – although this was patchy and worn, with previous, unidentified colours showing through in places. 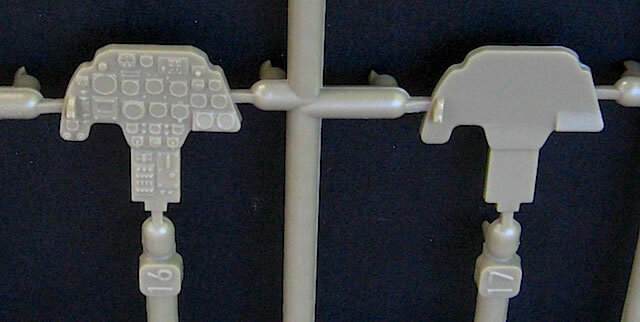 Radu also advises that Eduard’s depiction of the Romanian national markings on both its marking guide and decal sheet is slightly incorrect: the cross tips are pointed when they should be cropped (with straight lines - they are not “sharp” as depicted in the kit), as per the photographs of 2Z+AW. Finally, none of the photos of 2Z+AW show the front end of the aircraft, so there no proof that radar was installed. However, some other Romanian Bf 110 F-4s were definitely radar-equipped, and Radu notes that 2Z+AW had a ‘radio operator’ on board as well as a rear gunner at the time of the crash shown in the photos. On this basis, it’s reasonable to assume that 2Z+AW was fitted with radar. The error with the national markings notwithstanding, Eduard’s decals for the kit look good. 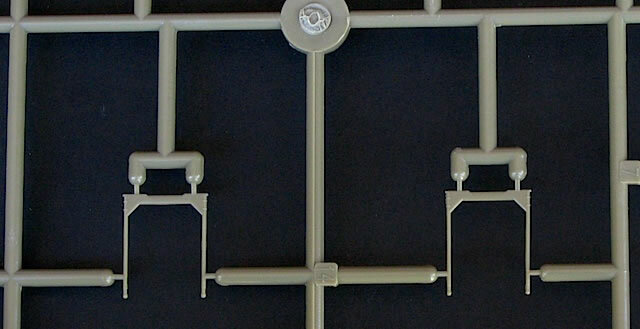 The shape and colour of the code letters appear accurate, and a full set of stencils is supplied. Four instrument panel decals are provided, which is welcome given this boxing’s absence of photo-etched equivalents. Hyperscale’s Plane Talking forum – thanks again! Denes Bernad, Rumanian Air Force – the Prime Decade, 1938-1947 (Squadron/Signal Publications, 1999). Jerry L. Campbell, Messerschmitt Bf 110 Zerstorer in Action (Squadron/Signal Publications, 1977). Brett Green, Modelling the Messerschmitt Bf 110 (Osprey, 2003).